I made it home safe & sound from my 13th NALM! Total drive distance, round-trip, ended up being 1,700 miles. 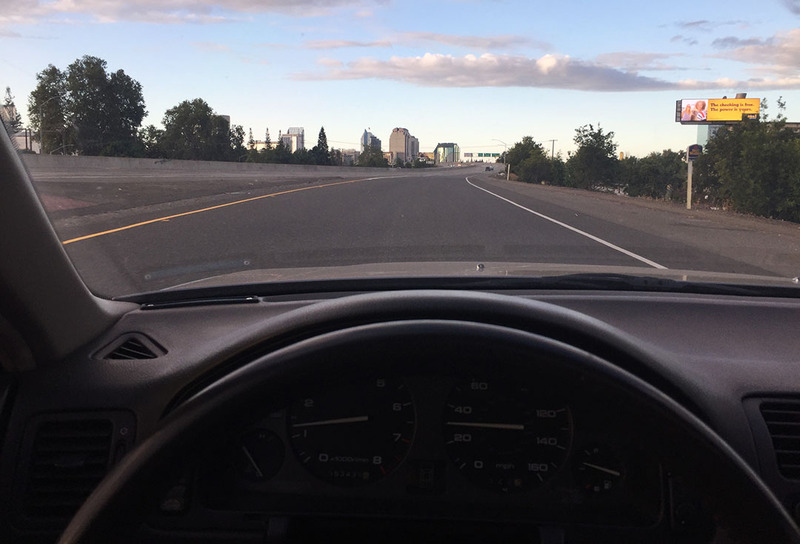 The car performed flawlessly — its only need was a one-time top-off of power steering fluid about midway through the trip. I was up and out the door of the La Quinta host hotel at 6:30 on Sunday morning, with a long drive ahead of me. There were just three stops made that day: Wesley, Buttonwillow, and Palm Desert, California. Each time, I topped off the tank, used the facilities, and grabbed a small snack. I was at my house in Phoenix by 5:30 p.m. – exhausted but feeling satisfied about a very successful weekend. 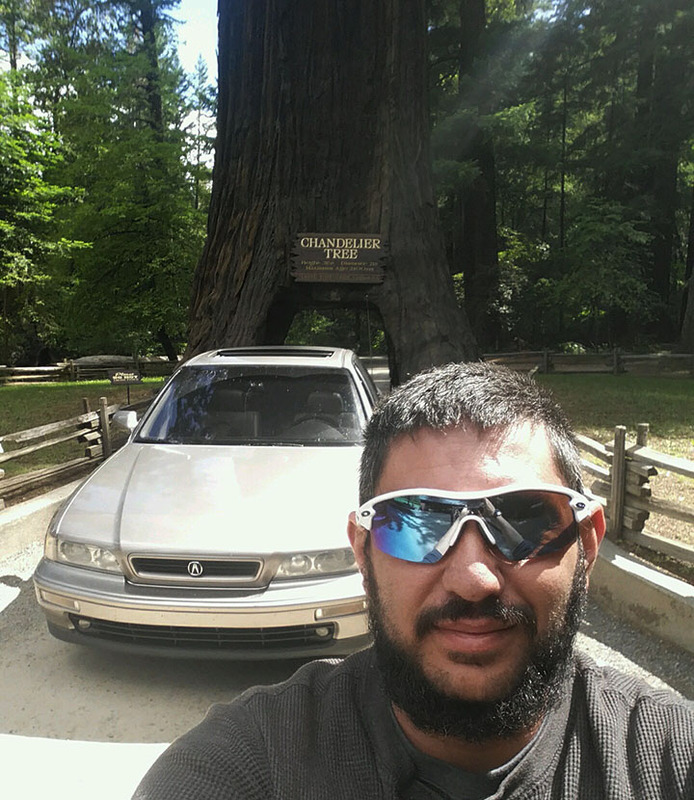 Alex sent me this – well on his way to Portland in my Legend sedan, driving through a Redwood tree in Leggett, California. Meanwhile, it was only a matter of time until I was back in the desert, making my way up the long I-10 grade from Indio to Chiriaco Summit. 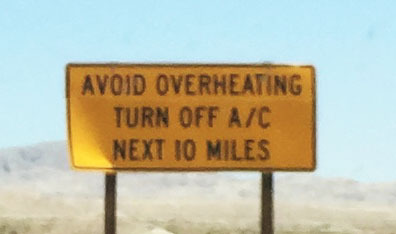 They always advise people to be careful about overheating here. 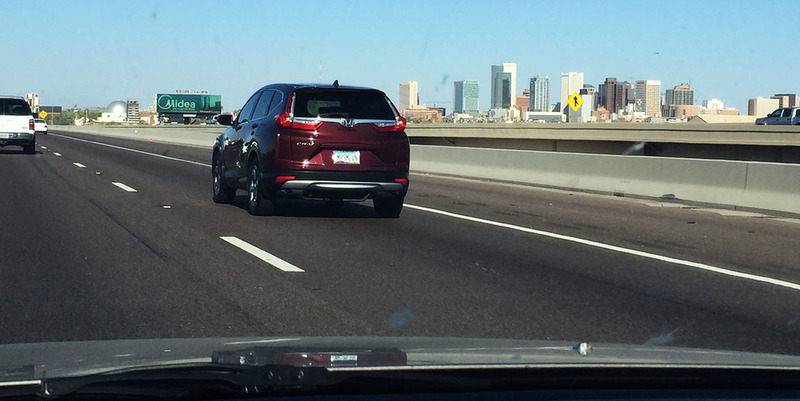 The Phoenix city skyline was a nice sight to see after such a long day on the road. Tucked away until the next adventure! Here is a short video I put together. More to come soon, including coverage of an especially monumental ILX milestone. I think you know what it is! This entry was posted on June 13, 2017 at 8:32 pm and is filed under California, NALM, Road Trip. You can follow any responses to this entry through the RSS 2.0 feed. You can leave a response, or trackback from your own site. Glad to hear it went well. Aside from the PS leak, any problems from the Legend during the journey? 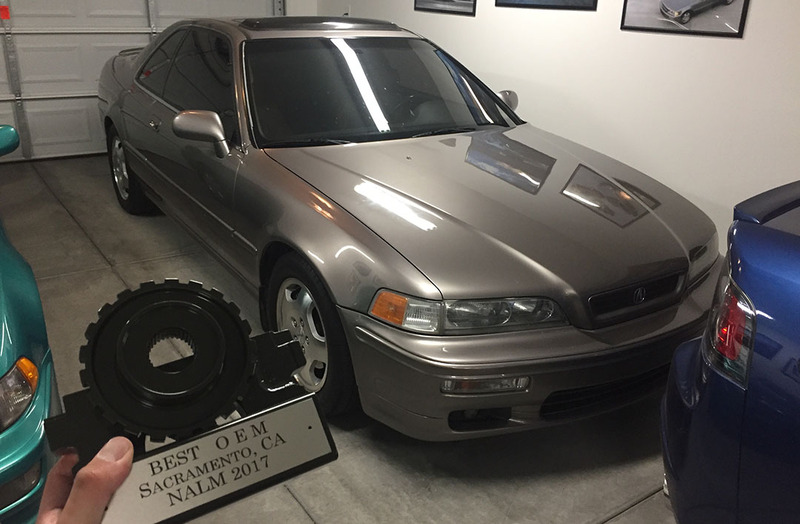 Best part is that OEM trophy! Glad all went well and yet another long drive with no issue. Hope we see more of where the sedan went in Oregon! What a fun trip! Sacramento was a great place to host. I still can’t get over how much I loved that shrimp at that Asian restaurant. I’m not a shrimp fan but everything else was amazing. I think the pot stickers might have been my fave. Pretty cool of the owner to come out and spend time talking with our group too. About that complicated check out process at the end though… yikes.